The Grass does always seem greener on the other side of the fence, the truth is that if it is greener on the other side of the fence is because you have not maintained your own yard. Instead of being a fence jumper, we should be taking care of the lawn we have been given. If we pull the weeds and all the crab grass along with fertilizing and watering our lawn it will become the greener of the grasses. 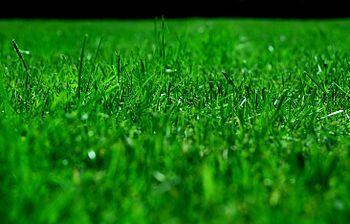 Tend to your own grass, learn to make what you have been blessed with the lawn you always dreamed of. With anything in life it takes hard work to have the better things in life. Rarely will good things come out of lack of effort. This entry was posted in Random Thoughts and tagged Creative Commons Attribution, Happiness, Human, Philosophy, Ray Barbier. Bookmark the permalink.